2009 remastered reissue import 180-gram vinyl LP. 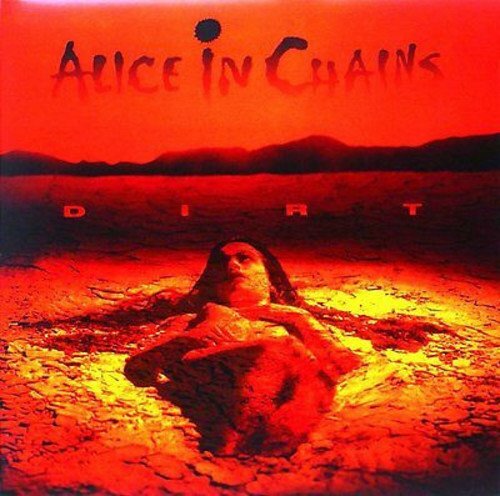 This is the only remastered import of Alice in Chains' best-loved album "Dirt" pressed on to 180-gram audiophile vinyl. Hard-hitting and dark, this alt. Metal classic from 1992 focuses heavily on vocalist/guitarist Layne Stanley's heroin addiction. Few artistic endeavors have as completely explored an addict's perspective with such clarity and emotion. Bandmate vocalist/guitarist Jerry Cantrell contributes heavily, not only with thematically tight songs, but as a force pushing through Stanley's addiction, keeping the songs and album on pace. Hits from "Dirt" include "Rooster," "Would?," "Angry Chair," "Down in a Hole" and "Them Bones." The album peaked at #6 on the Billboard 200 chart.